What does coffee and beer have in common? There are some great beers with coffee in them for one. But what about a coffee roaster who also moonlights as a ginger beer brewer? I managed to cross paths with one such man while on vacation in Kampot, Cambodia. On a mission to pick up good coffee for a friend back in Phnom Penh. I came across, Rumble Fish Roasters. This roaster aims to showcase the best of South East Asian coffee. They believe that every step in the coffee process from the ‘farm to the cup’ is important to ensure an outstanding final product. By placing emphasis on locally and regionally produced coffee their endeavour has helped grow the local specialty coffee market and supports the farmers and families involved. To achieve this they direct source their beans and carefully roast them at their custom roastery located in Kampot. Utilising invaluable years of experience and time honoured artisan techniques. Rumblefish’s Ginger Beer at their roastery. 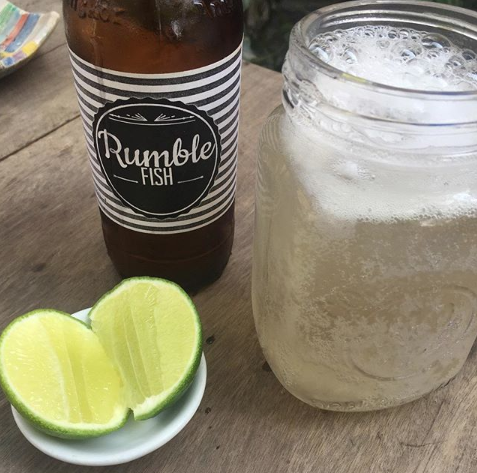 Rumblefish’s Ginger Beer is brewed in house. 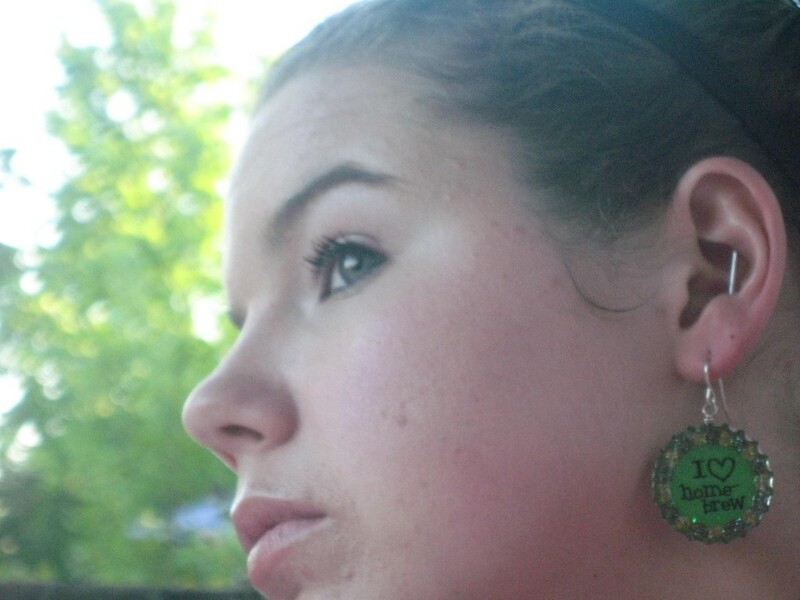 Always served with a lime. It is strong and refreshing on a hot Cambodian day. I personally found it a little bitter and mixed in a spoonful of sugar from the coffee bar to make it a little sweeter and more enjoyable. It is the same recipe the owner of the coffee shop has been using for over 13 years. On top of supporting local farmers and families. Rumblefish works with a strong team of young Khmer who all came to work for them with no prior experience and little to no English skills. With a fresh slate and a desire to learn the trade, these young Khmer are given the opportunity to experiment, grow and move up the chain at the roastery. 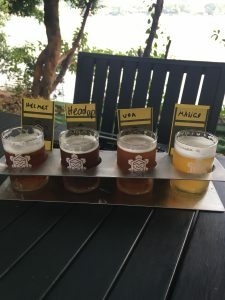 Kampot, Cambodia is becoming a micro hub for southeast Asian beers, with a local brewery and imported beers from just across the border of Vietnam. 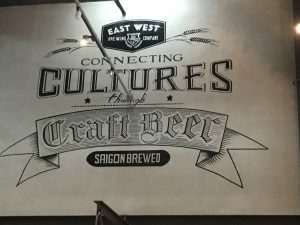 It is getting easier and easier to find great beer in Cambodia. What is your favorite international beer? 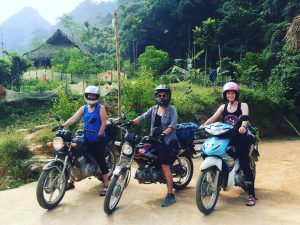 It’s no secret that my favorite town in Cambodia is Kampot. Whenever I have a long weekend, I try to head to Kampot with my dog to do some exploring. Cambodia doesn’t have many microbreweries, but even Kampot has its own microbrewery, Flowers Nanobrewery! Originally from Japan, head brewmaster now calls Kampot, Cambodia home. In a country where sushi and craft beer are in low supply, Flowers Nanobrewery has both. I enjoy following them on Facebook. 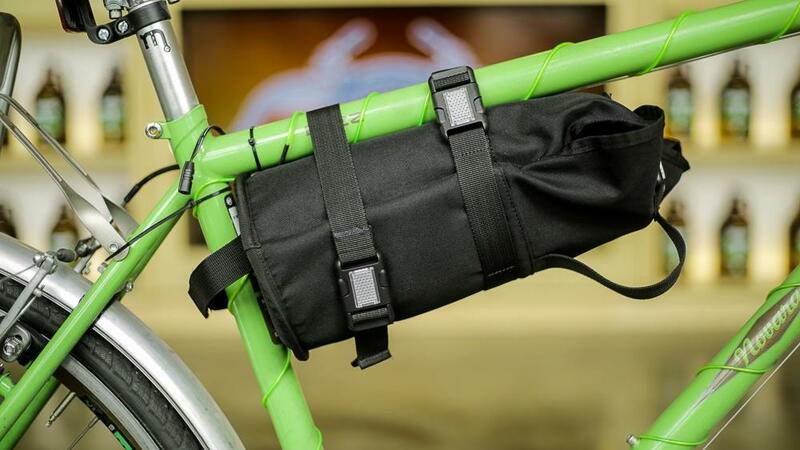 He constantly shows photos of fresh fish and his motorcycle loaded with brewing supplies from a recent border run to stock up on craft brewing supplies. 3 motorcycles, 20 buckets, 5kg of hops, 5kg of bottle crown caps, and 50kg of malt bag. 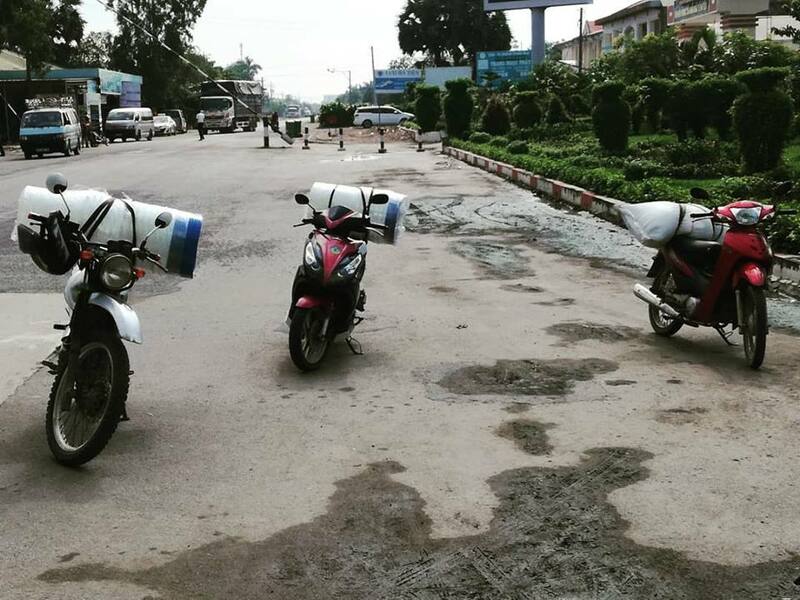 Safely delivered to Kampot from Ha Tien, Vietnam. We’ll brew hard. 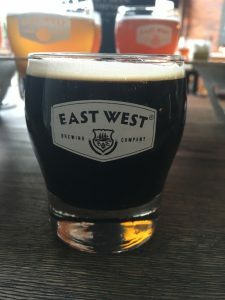 Black Cat Boogie, this we found via Facebook post that it was available at a backpacker’s bungalow – a short walk across town and we found this sweet, yet dark, wheat porter. Black Cat Boogie is 5.9% ABV. Duck Walk IPA, a decent IPA in a land where a good IPA is hard to find. (I used to live in Portland, Oregon, USA and hated IPAs – one year in Cambodia and I really miss good IPAs now.) Duck Walk IPA is 6.7% ABV. Blind Lemon, which is a lemongrass pale ale, that I absolutely love. 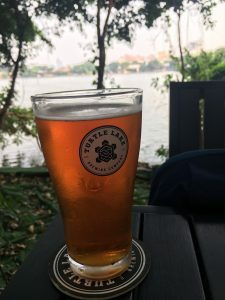 Lemongrass is easy to come by here in Cambodia and I love when breweries use locally sourced ingredients for a great craft beer. Blind Lemon is 5.3% ABV. 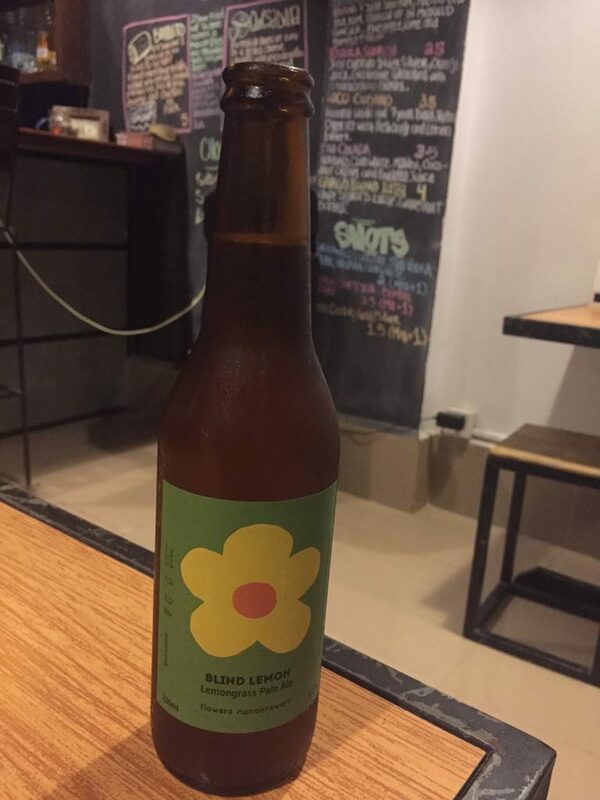 Blind Lemon can be found at the best Tex-Mex in Kampot, GringoLoco! 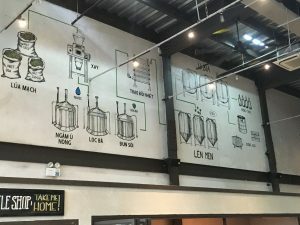 Have you ever been to Flowers Nanobrewery? What did you think of it? Ever been to Cambodia? What is your favorite brewery?